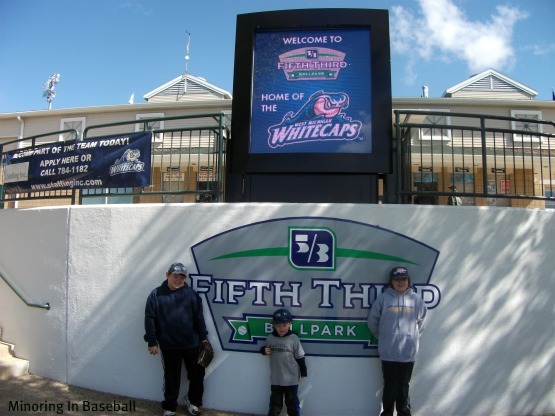 Next season, Fifth Third Ballpark, home to the West Michigan Whitecaps, will be hosting the Midwest League All-Star Game. The announcement was actually made during the seventh inning stretch at last Saturday night’s game that we attended. Next season’s classic will also be the 50th All-Star Game for the MWL, and will take place on Tuesday, June 17. This will be the third time West Michigan has hosted the event, with the first time being in 1995, and again in 2003. All I can say, is that I have to make this game. I’ll be waiting to jump on some tickets when they go on sale for sure. Attending an All-Star Game is definitely on my baseball bucket list, and where better than at my home-team Whitecaps! Thanks, Shannon. I’m hoping we can score some tickets!